Made in two pieces, the top of the base rounded to fit hollow in the under part of the table. Giza, tomb G 2416 D III. 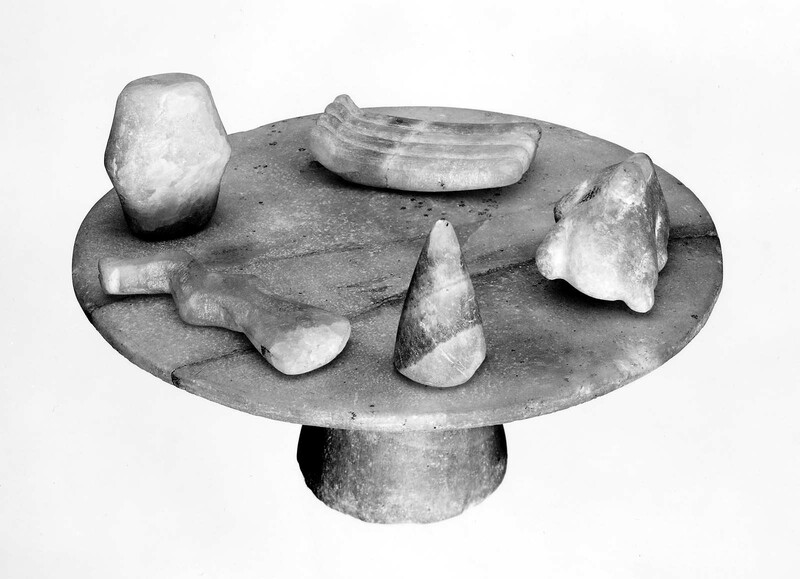 1936, excavated by the Harvard University-Museum of Fine Arts Expedition; awarded to the MFA by the Egyptian government.